The Prophecysound Rubber Fetish MkII takes the Mutron III envelope filter, and adds some extra features to give you more control over the sound, as well as being designed to easily fit - size and power-requirements wise - into modern pedal boards / rigs. frequency fine tune - along with the 'standard' frequency hi / low switch it's now possible to make subtle adjustments to the filter frequency; really useful to capture the filter sweep over a particular harmonic or frequency. This control is completely unique to the Rubber Fetish MkII. You might think that with all these extra features the Rubber Fetish MkII might be one of those over-sized pedals that it difficult to fit into your pedal board. Not so. In contrast to it's fat sound, the 'fetish is delivered inside a petite 1590BB size (120mm x 95mm x 30mm; 4.7" x 3.7" x 1.2") box. What else? 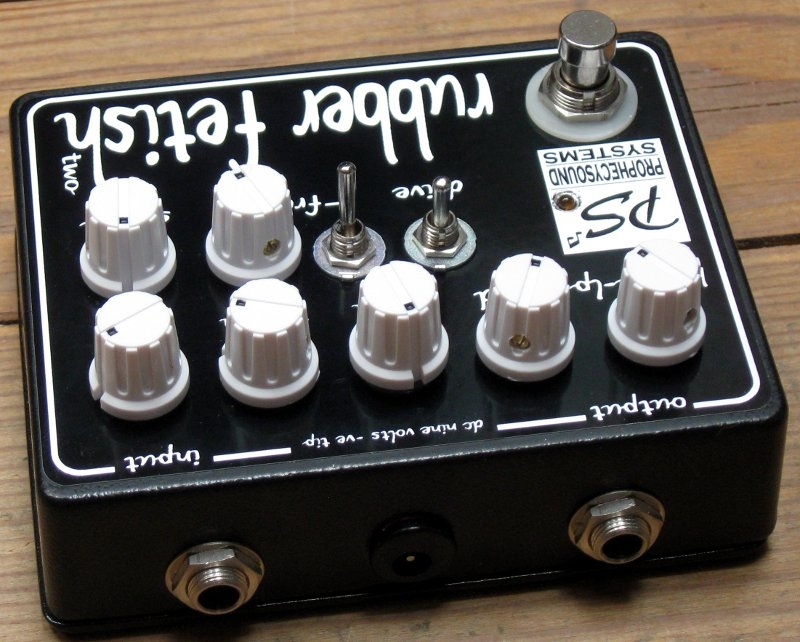 Oh yeah - all the usual pedal blah blah - true-bypass heavy duty stomp switch, Switchcraft 1/4" jacks, a LED for indicating if the pedal is on or off etc etc. 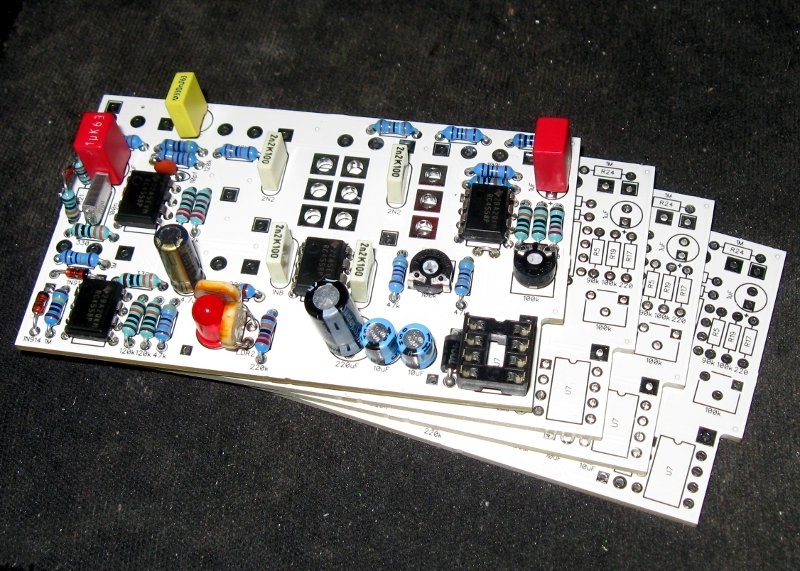 Conveniently, the Rubber Fetish MkII runs from a standard 9VDC power supply, whereas the original Mutron pedal required a special power supply. That's about it for the blurb, although you might be wondering how we've made it this far with no jokes about the pedals' name. Don't worry - that's what advertising is for! The Rubber Fetish mkII takes an old-favourite design as it's basis, and brings it into the modern age with extra sound and usability features. Besides that, we've worked hard to make sure the pedal delivers wet, funky, sick or subtle envelope filter sounds that are easy to dial in, and that are usable both in the studio and live. If you like envelope filters in general, then you'll really love this pedal in particular!